Dinner at La Sophia – Food That Makes You Smile! I have the best ‘Best Friend’ in the world. She is kind, caring and so thoughtful. I don’t think there are enough adjectives to describe how amazing she is. Anyway, I know this post isn’t about her, but she is the reason why I got to experience this delightful dinner. For my birthday last year, she looked into halal restaurants to take me to and came across La Sophia, a French and Mediterranean restaurant. It’s located near Westbourne Park station, and I must say that it’s a shame it’s not as easy to find because it makes it less likely that someone would just stumble across it like I have with so many other places, unless you were wondering around Portebello Road of course. But nevertheless, we found it and couldn’t wait to try what they had to offer, especially having checked their menu out online. 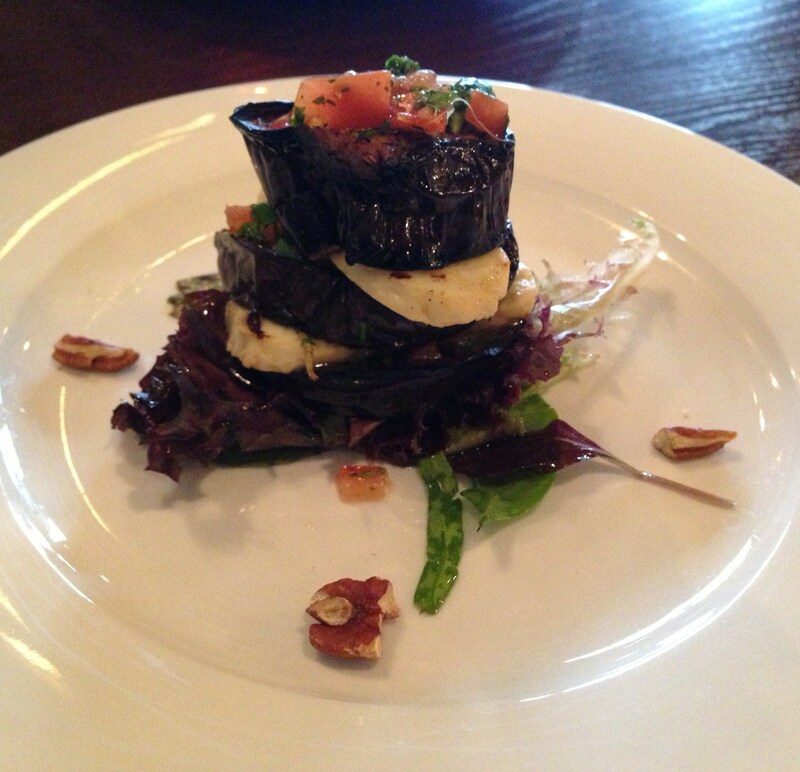 For my starter I had the Aubergine mille-feuille – with grilled halloumi, chilli, tomato concasse, pecan & parsley pesto. Obviously mille-feuille is normally pastry based, which was what I was expecting. But I soon realised that they used aubergine instead, which was tasty and I see what they did there, but I don’t know if I’d call it that. You can’t go wrong with halloumi though! 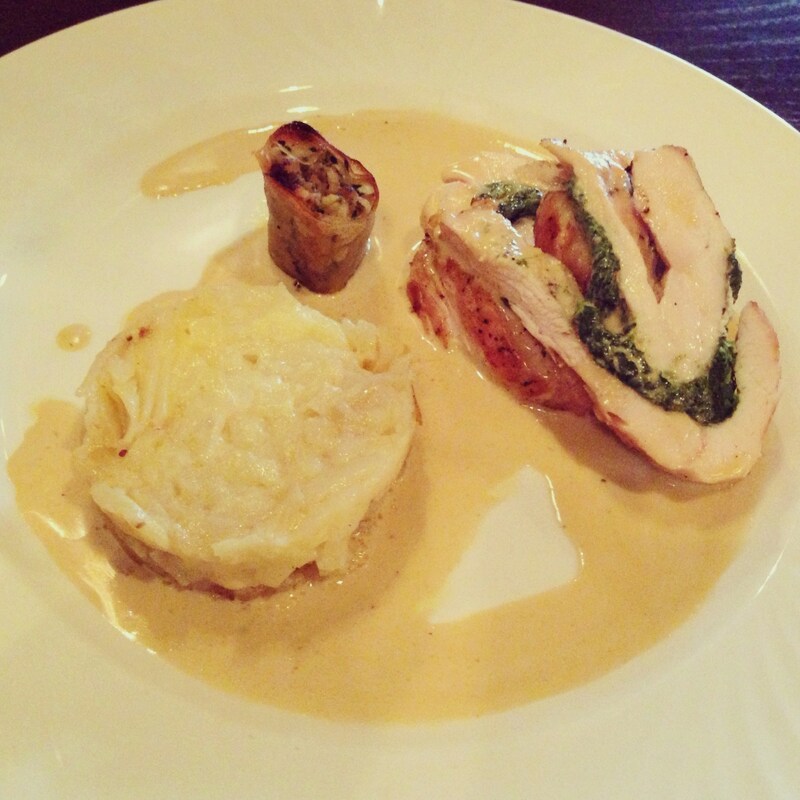 For my main meal I chose the roasted corn-fed chicken breast with spinach cannelloni, gratin dauphinoise & tarragon sauce. This has to be one of the best meals I have ever had. The chicken was succulent and the sauce was seasoned just right with some flavoursome dauphinoise. My friend had the pan-fried marinated rabbit with ras el hanout, caramelised onions, garlic, herbs pomegranate tabouli & saffron couscous. Sounds silly but seeing as we had a rabbit as a pet when I was younger, I couldn’t get myself to try this! But she seemed to enjoy it… the monster! Haha, only joking of course. 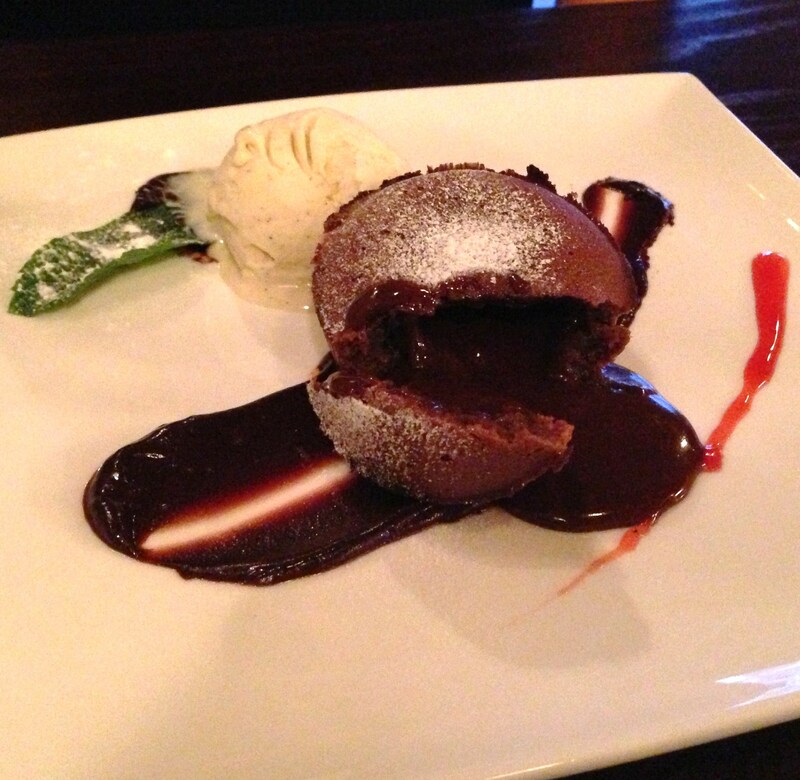 For dessert, my friend went for the warm chocolate fondant with vanilla ice cream. Just look at the chocolate oozing out of it… yum! 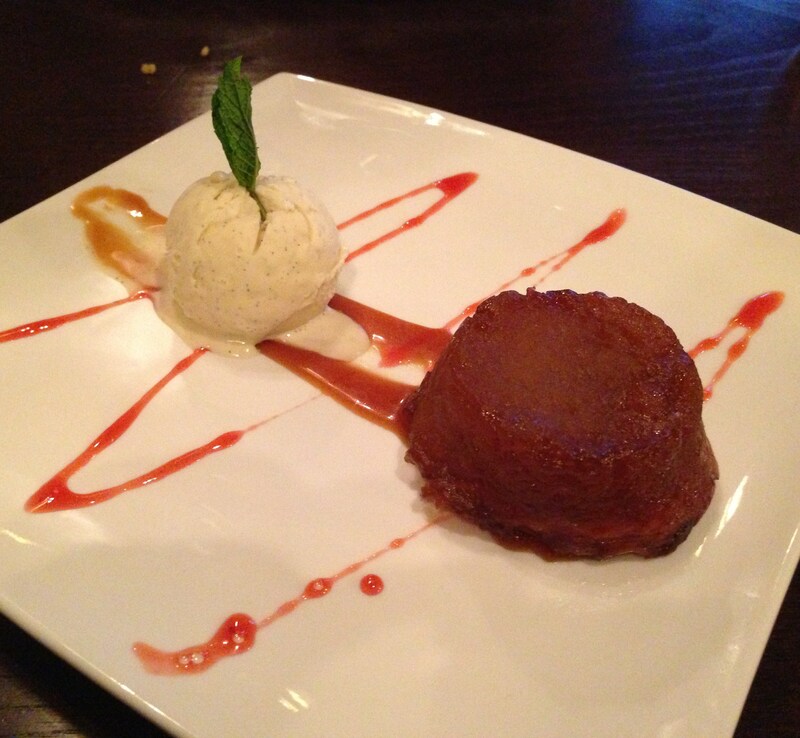 And I had the delicious apple tarte tatin with vanilla ice cream. I like the fact it was a mini version but I wouldn’t have minded it being a little bigger – but that’s just because I’m greedy. Overall, I thought the experience was wonderful. It wasn’t busy when we went as it was mid-week, but the food was delicious, the service was good and I had a great time. My friend also had a tastecard so our meal was discounted too, but I hear that they don’t do that deal anymore. I’ve read other people’s mixed reviews of La Sophia, but I don’t share their thoughts because my experience was very pleasant and I would like to go back again for sure.